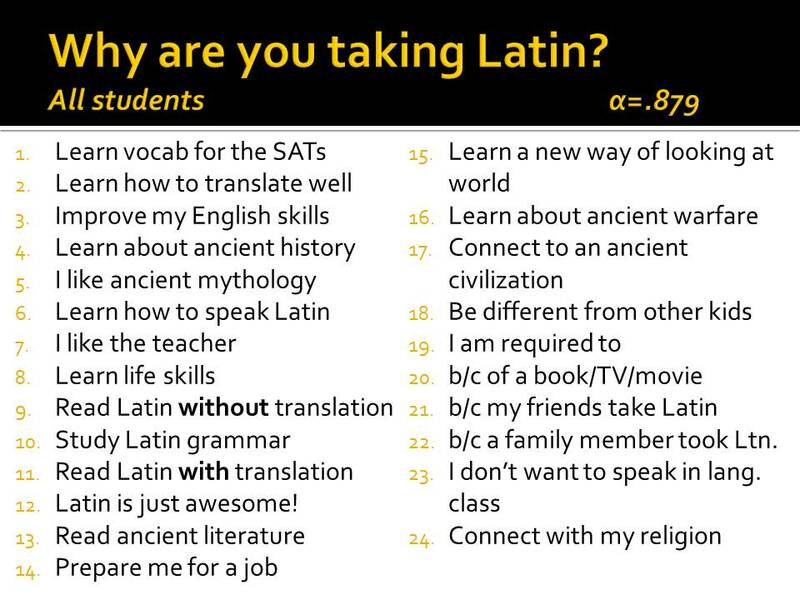 Right now, why are you studying Latin? Does your current class meet those expectations? 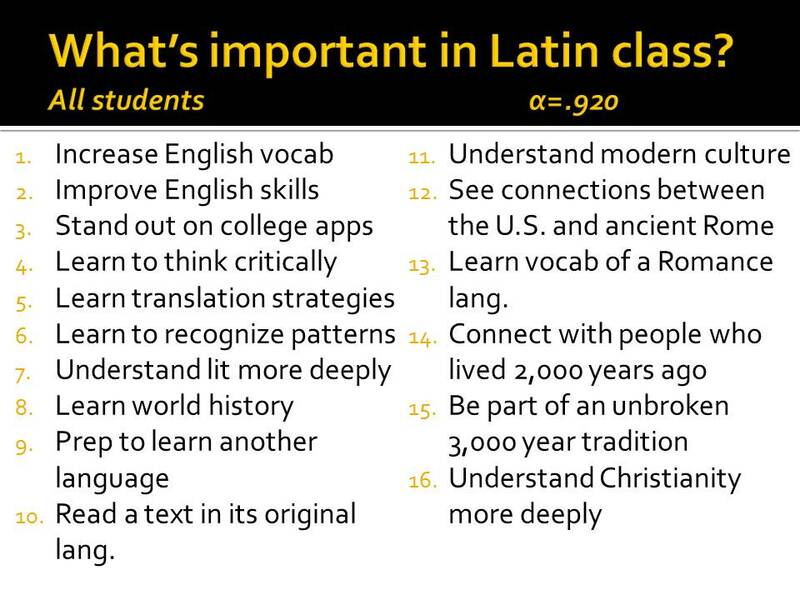 There are many things you might do in Latin class. How important to you is each of the following? 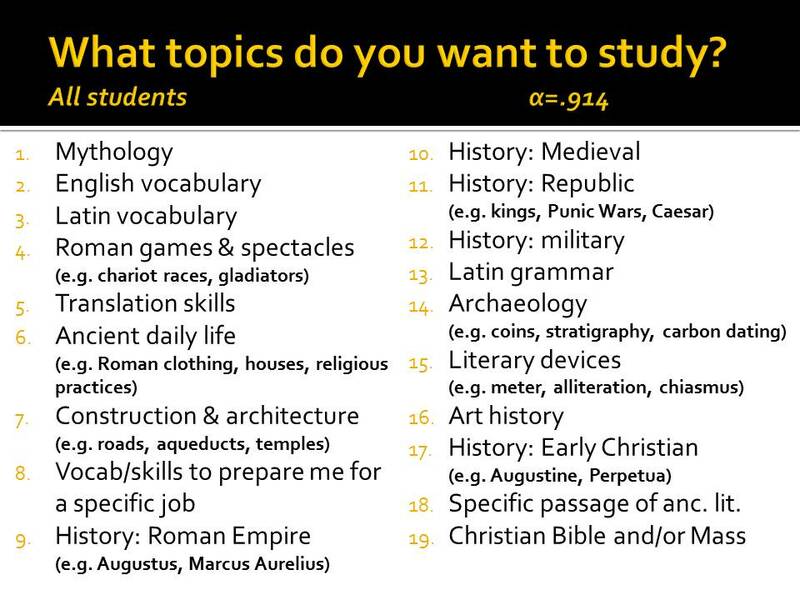 What topics are you interested in studying in Latin class? 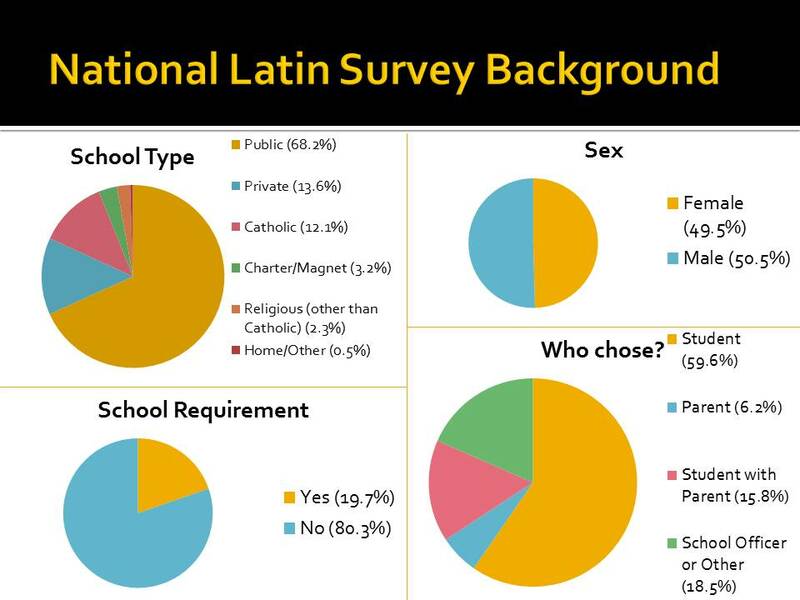 Complete and final data, analysis, and commentary will be made available by the end of 2015. If you have any questions or ideas and suggestions for data analysis, please contact me at NationalLatinSurvey2013@gmail.com.